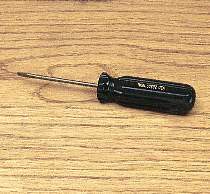 This high quality screwdriver is perfect for driving no. 1, no. 2 and no. 4 gauge screws. Made in the U.S.A. Was $2.59 now only $1.25!